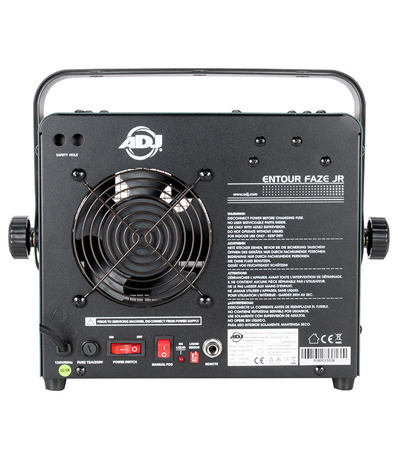 The Entour Faze Jr is the smallest member of the Entour Atmospherics Series of products from ADJ. 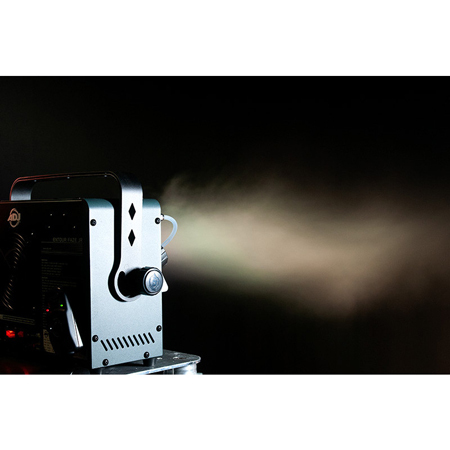 This 200W Faze Machine uses ADJ's patent pending rapid heater technology that allows the machine to be ready to produce haze in 70 seconds from the time it's turned on. This is done by the heater constantly reheating to a optimized temperature. 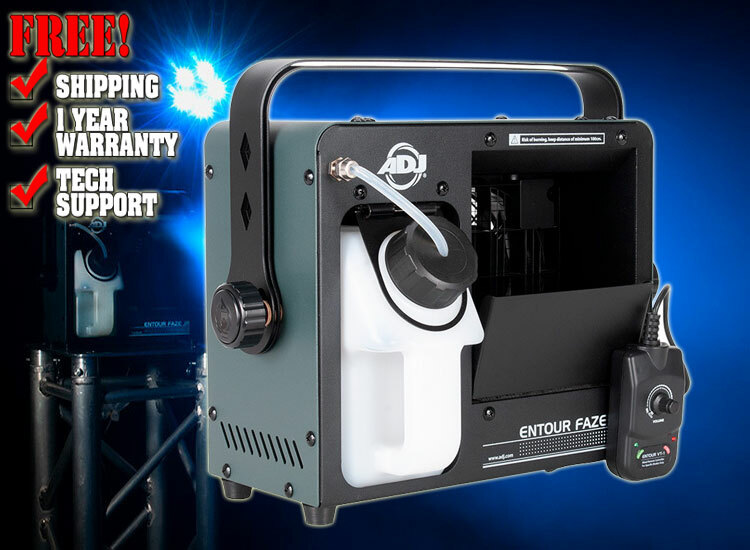 The Entour Faze Jr can be operated by the faze trigger switch on the rear of the machine, or by the supplied Entour VT-1 wired remote. It has a large 3-liter tank that uses standard water based fog fluid. The Entour Faze Jr is portable and light in weight, but is rugged for everyday use. 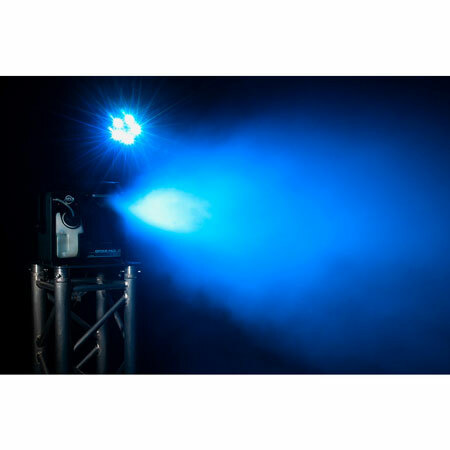 It creates a thin mist of atmospheric in the air, without a large plume of smoke, to enhance light beams. It's designed for permanent installs such as small stages or performance spaces, or may be used on the road by mobile entertainers. 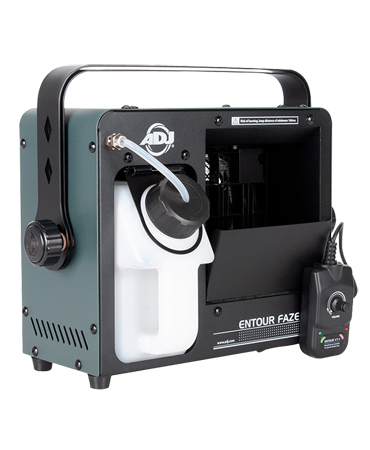 ADJ recommends the F4L ECO water-based fog fluid for the Entour Faze Jr. It's a lighter blend that's optimal for this fazer. Fluid Consumption: 2.2 ml. per min. Weight: 10.5 lbs. / 4.8 kg.